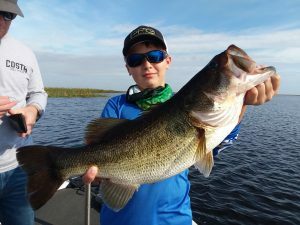 Dave and his son Dave Jr. from Nebraska came to enjoy some time together out on Lake O. The morning started cold with temps. 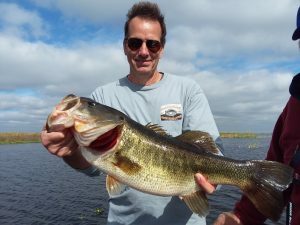 in the low 40’s and water temps in the mid 50’s. 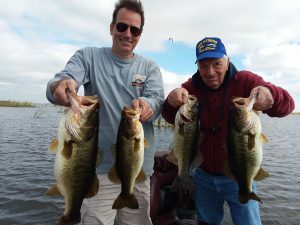 The fish however played along these guys caught 40 fish with 1 fish weighing 7lbs 7oz. in only 6 hrs. 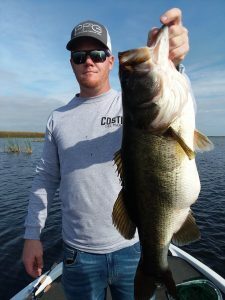 Now that the water temps have dropped some the fishing has been really good! 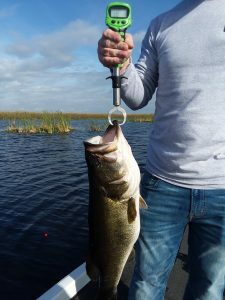 If you are planning a trip down to Florida this winter now is the time to book your trip with Lake Okeechobee Bass Fishing and Shellen Guide Service.